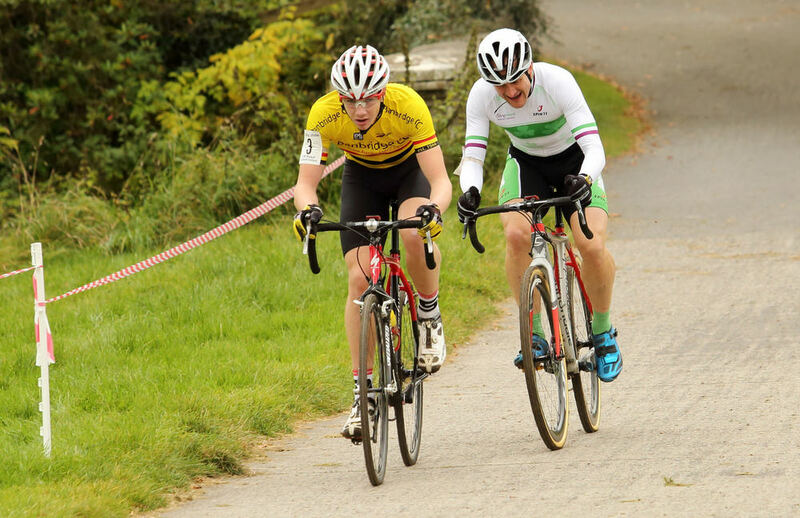 With the Irish Cyclo-Cross season now underway Banbridge CC riders are once again showing their depth of quality in the discipline with rising star James Curry taking the latest victory in Irvinestown, Co. Fermanagh. John Buller backed this up by claiming the first Junior rider prize in the same race. With the Banbridge teenager turning 18 years of age on December 31st he has now moved up to the under 23 ‘Espoir’ category. As luck would have it had he been born 24 hours later and have a birth date of January 1st he’d have the chance to defend his Irish Junior title on January 10th. He’s proving he’s more than capable of the move up to the higher age category however by besting all age categories and taking his first win in only the 2nd race of the Ulster CX Series . On the day it was no less than Commonwealth Games competitor Lewis Fergusin of North Down CC who beat into 2nd place with a six second advantage after 45 minutes of racing. The pair had been part of a 5 strong group who had moved clear early in the race to hold an advantage over the remainder of the field for the duration of the event. Included in that group were Darnell Moore (Caldwell Cycles), Graham Boyd (XMTB McConvey Cycles) and Barry Kellet of Dromara CC. I fine ride by off road man Kellet would see him complete the podium. Curry and Ferguson had distance the rest in the closing stages of the race and it was on the final lap that the Banbridge lad made his move on the most difficult section of the course, showing the form that had led him to the mountain bike World Championships in Andorra only a couple of months ago. John Buller would come in less than 3 minutes later as the first Junior. Buller has also stepped up a category this year, concluding his time in the youth categories. Representing Banbridge CC in the Women’s race was Ruth Aiken who collected another top 10 placing in 8th place. The men’s support race attracted a bumper field with over 60 rider starting. 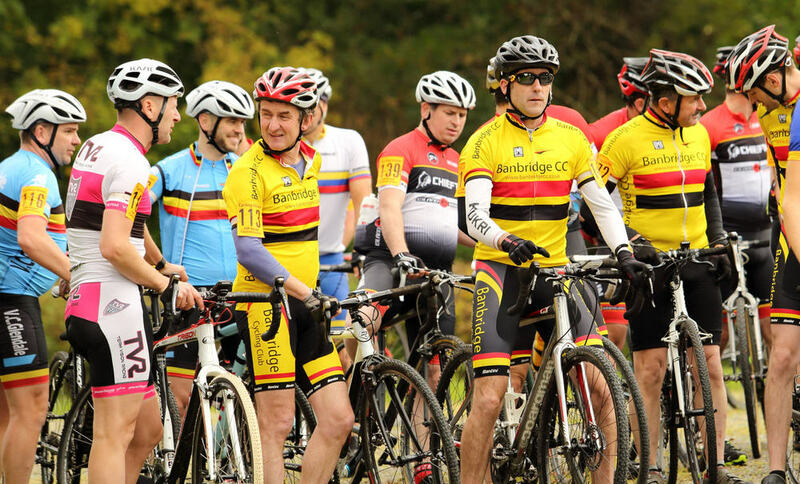 Banbridge were once again well represented with Willie Forsythe, Chris McCann and Ian Cochrane being joined by newcomers to the CX scene Mark Kendall, Allan Black & Peter McBride. Following an impressive first season on the road Mark Kendall is showing he can quickly adapt to the mud and grass producing another excellent result in 7th place. Having introduced his son Ryan to the demands of racing recently by taking out his first racing licence in the under 6 fun category, Peter McBride decided to leave the offspring at home this time around. Perhaps for fear of returning home once again with the second highest placing the household. No doubt McBride junior will be wanting to return to the racing before too long however when he sees how much fun his father has rolling around on the ground! 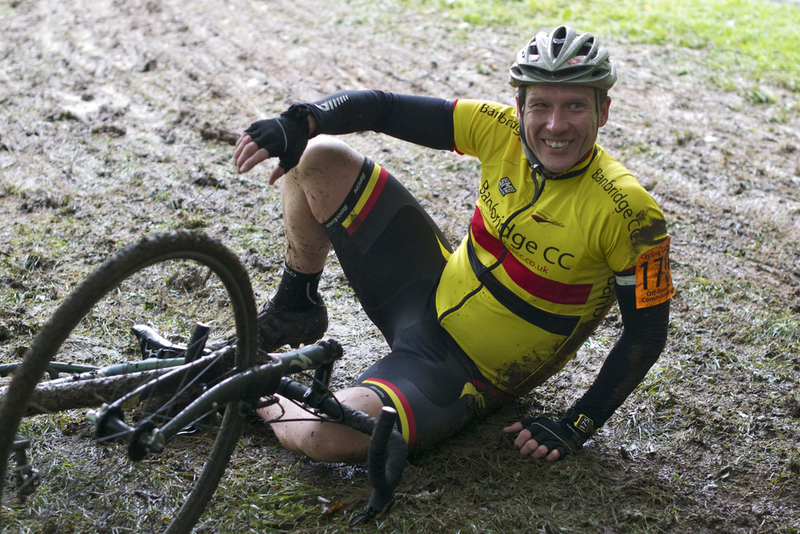 Photos courtesy of Paul Hannigan and David McVeigh/The Belgian Project.